"This company is phenomenal! I decided after I had ordered the material for one of their pre-planned baby quilts that I wanted it to be twin sized instead of crib sized. 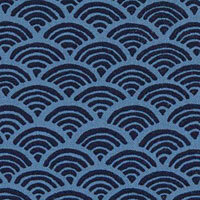 They were super..."
"Thank you for the wonderful selection of fabric I order from eQuilter. I work in the main hospital of our city of Christchurch NZ. As a theatre nurse I have been making my own theatre..."
"Dear eQuilter, you are by far the best quilting site I have come by. I have ordered from you many times in the past and just had to take a minute this time to thank you for your quick..."
"The fabric is such good quality and such a wonderful variety at such great prices. My only complaint is that there's too much beautiful stuff to choose from!"